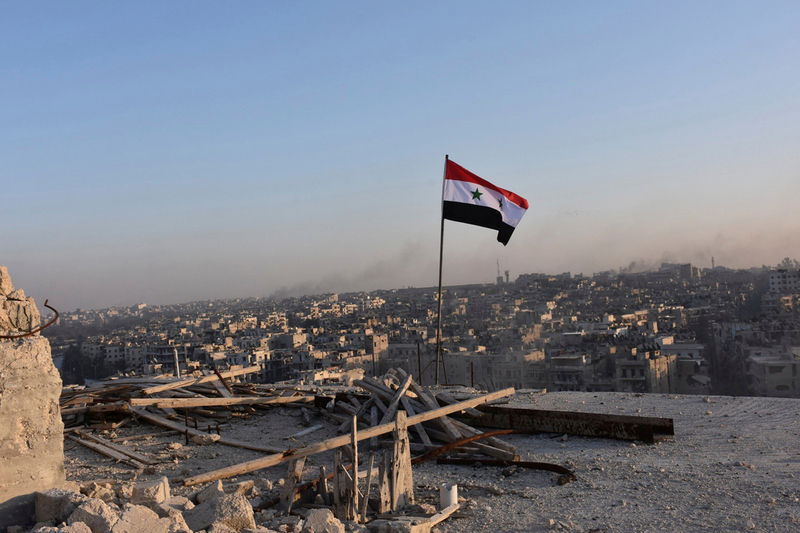 A Syrian national flag flutters near a general view of eastern Aleppo after Syrian government soldiers took control of al-Sakhour neigbourhood in Aleppo, Syria. The Syrian government has regained control of 96 percent of Aleppo’s territory, Major General Igor Konashenkov, the Russian Defense Ministry’s spokesman, said on Dec. 12. "The Syrian army has liberated five more quarters in eastern Aleppo over the past 24 hours," Konashenkov said. "The Syrian government is thus fully controlling 96 percent of Aleppo’s territory, while the total area in the eastern part of the city held by militants does not exceed 8.5 square kilometers," Konashenkov said. Poles apart: Can the divisions between Russia and the West be bridged? He recalled that the Russian Center for Reconciliation of the Warring Parties had helped over 100,000 civilians, including 40,000 children, leave Aleppo’s eastern districts since the beginning of the Syrian army’s operation to recapture the city. "All of them have been accommodated in the humanitarian centers and provided with hot meals and foodstuffs. More than 5,100 residents have returned to their homes in the liberated neighborhoods from the city’s western districts. The Russian Reconciliation Center has delivered 78 tons of humanitarian aid over the past 24 hours, including foodstuffs, drinking water, articles of daily necessity, medications, tents and warm clothing," Konashenkov noted.